The transition from a traditional, centralized power grid to a more distributed one will have significant impacts on the grid of the future. As utilities begin to explore the capabilities of distributed energy resources (DERs), new tools will be called upon to optimize grid infrastructure and operations, such as increased flexibility to incorporate solar’s more intermittent generation. 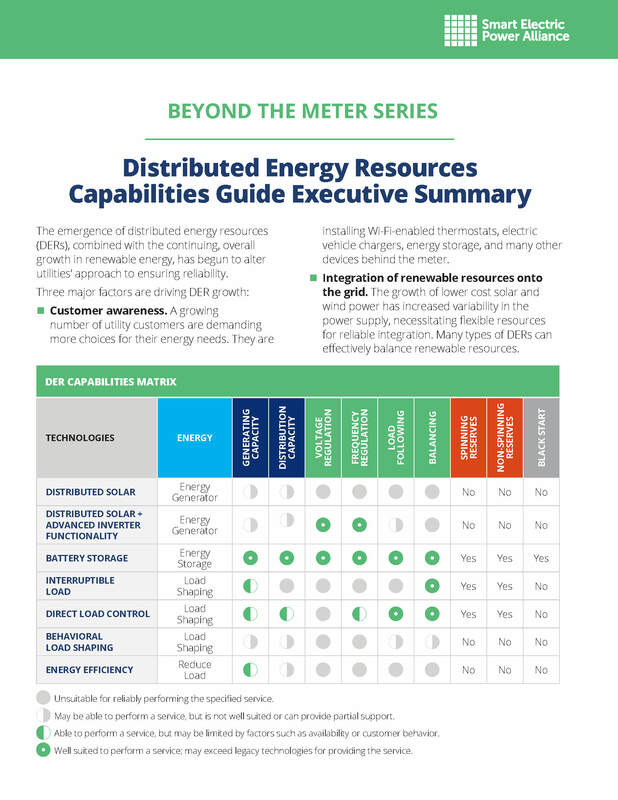 This guide explores the potential value of various DERs to provide power, capacity and ancillary services to the grid.